-This app passes golf scores from the Watch to the parent app residing on a mobile device. 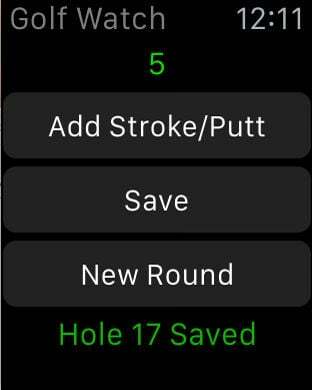 -Golf score editing is possible subsequent to input via the Watch. - Scores and par values for each hole, as well as for the played round are displayed on a separate view. - Statistics of individual holes and the totals of a played round can be saved, printed or emailed. - Step by step instructions on how to use the app are available on a separate view. -This app functions independent of internet connection or account requirements.